This is just one in a series of blog posts that will feature medical students telling their stories of how they got accepted into medical school. Today, Justin Temple shares with us the story of his acceptance to the University of Illinois-Chicago College of Medicine. Justin, give us a peek into your life. What initially attracted you to pursue medicine? It was an interesting journey for me. Growing up, I always thought I wanted to do something with science. For the longest time I thought that might mean pursuing biology or being a veterinarian. For my first year of college, I went to a small school called Carroll University. They have a marine biology program where students do two years at Carroll and then two years at a university in Hawaii. During my senior year of high school, I was really pumped about that, and that really colored my decision to go there. I knew I wanted to do something science-y and that was an attractive option for me. But the more I went in, I decided that biology itself wasn’t what I wanted to do. I think I wanted to do something more engaging and interactive with people. So I ended up transferring to the University of Illinois and entering the animal sciences program, thinking again, that a childhood thought of mine was to become a veterinarian. The U of I has a great animal sciences program and I loved every minute of it. We got to do some really cool things. We had one class that took us out to the farms and taught us how to handle sheep and cows. I worked with and shadowed veterinarians, and I knew I liked the medical aspects: the whole process of diagnosis, treatment, dosing and medications. I fell in love with it, but I felt something was lacking so I went ahead and shadowed some physicians. What really drew me then officially to human medicine was the component that the person that you are treating is a human being. You can form a connection with your patient and not somebody's dog or guinea pig. Not to take away from veterinarians at all, but for me, I thought it was more of a deeper connection, and I really fell in love with that. The physicians I worked with really demonstrated that connection beautifully, and ever since those initial shadowing opportunities, I ran with it. Why did you choose to apply to the University of Illinois at Chicago College of Medicine? One of the biggest factors for me is that it's in Chicago and it's close to where all my family and friends are. 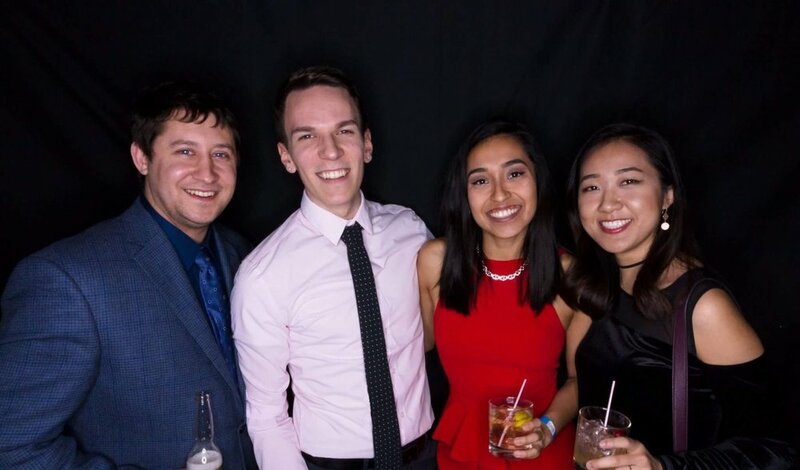 Knowing that medical school can be very trying -- it's a really intense time -- I knew it would be important for me to be close to the ones that I care about, that kind of keep me grounded. Knowing that medical school can be very trying… I knew it would be important for me to be close to the ones that I care about. What are the three reasons why you think you were accepted? A lot of people have known since birth: “I want to be a doctor... I came out of the womb and I was going to be a cardiothoracic surgeon.” I was never that way, and there’s no shame for people who are that way! I think that my being able to demonstrate this journey I've had and how I've really critically thought about what I want to do showed the admissions committee that I wasn't just being spoon-fed this or this wasn't just some happenstance. I really put a lot of thought into it. I think my connection with the mission helped me a lot. I think they could see that I really resonated with what they believe in. I myself am a gay man, and they are very big on diversity. I felt very comfortable through the whole process, not that I felt uncomfortable at other places, but I felt very at ease with them. I think the interview went very well with them. I think my connection with the mission helped me a lot. I think they could see that I really resonated with what they believe in. I think my variety of experiences really helped. Going on the trip to Albacete, I did research, I was involved in different organizations. So beyond test scores and grades, I think that I showed that I was pretty well-rounded. I interviewed at three different places. Out of the three, I definitely felt the most comfortable after the UIC interview. I think something about it clicked. I felt at ease, not as nervous as I did at the other ones. Over all, it was a positive feeling. It was my second or third day of winter break, and I was home in the suburbs with my family. I had just been on these interviews and I knew it was crunch time, whether I'd be hearing back or not. I woke up one morning, and there was an envelope on the counter downstairs. My mom didn't say anything -- she got the mail -- but didn't say anything. She didn't want to jinx it or freak me out. So I ran downstairs and opened it up, and there was the acceptance. It was just pure joy, the best Christmas present ever. I could just breathe, and I was like “Oh my God, thank God.” It was an amazing feeling. I think for pre-meds especially, doing things that you are passionate about and you enjoy, and being a well-rounded person will benefit you in the long run. Echoing what I said before: find somewhere that you really resonate with, something that doesn't feel forced. Speaking from my experience in medical school thus far, it is important to stay grounded and well-rounded. I think that it can be really easy to fall into the trap of "medicine is my life.” You think that you have to do everything around medicine, you have to go study and perfect your application. I think for pre-meds especially, doing things that you are passionate about and you enjoy, and being a well-rounded person will benefit you in the long run. It shows to the application committees that you are someone who would be a good physician, just by living your best life. Justin Temple received his B.S. in animal sciences from the University of Illinois Urbana-Champaign and participated in the summer 2015 Atlantis Fellowship to Albacete, Spain. 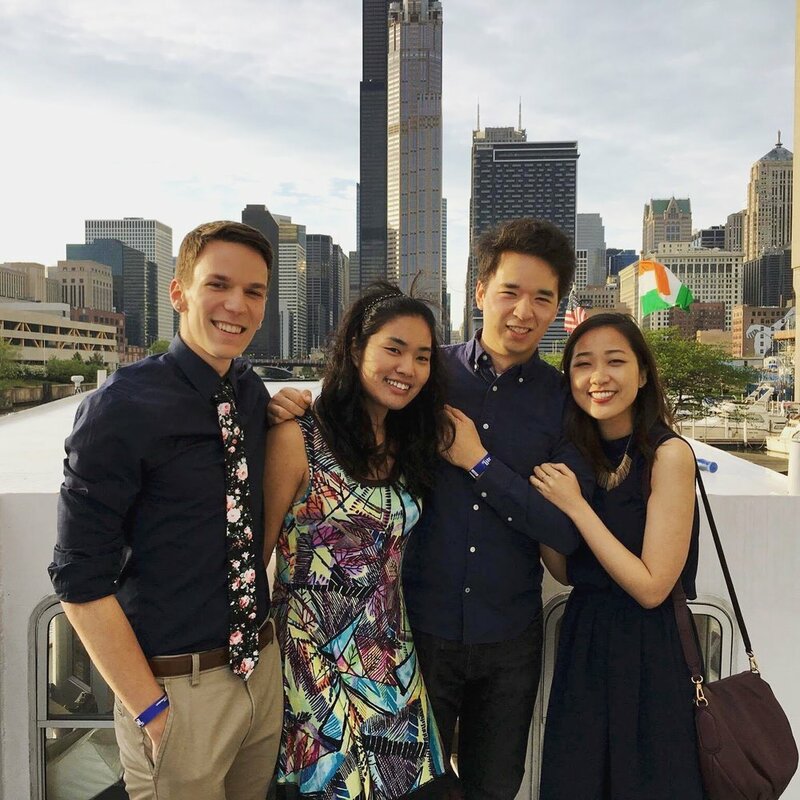 A current MS3 at the University of Illinois at Chicago College of Medicine, he hopes to pursue family medicine in Chicago, New York, or Seattle. A native of Aurora, a Chicago suburb, Justin is now experiencing life in the big city, where he enjoys exploring different neighborhoods, trying new restaurants, working out, hanging with friends, and staying human in whatever ways he can.